Hose measures 50 ft. by 1/4 in. 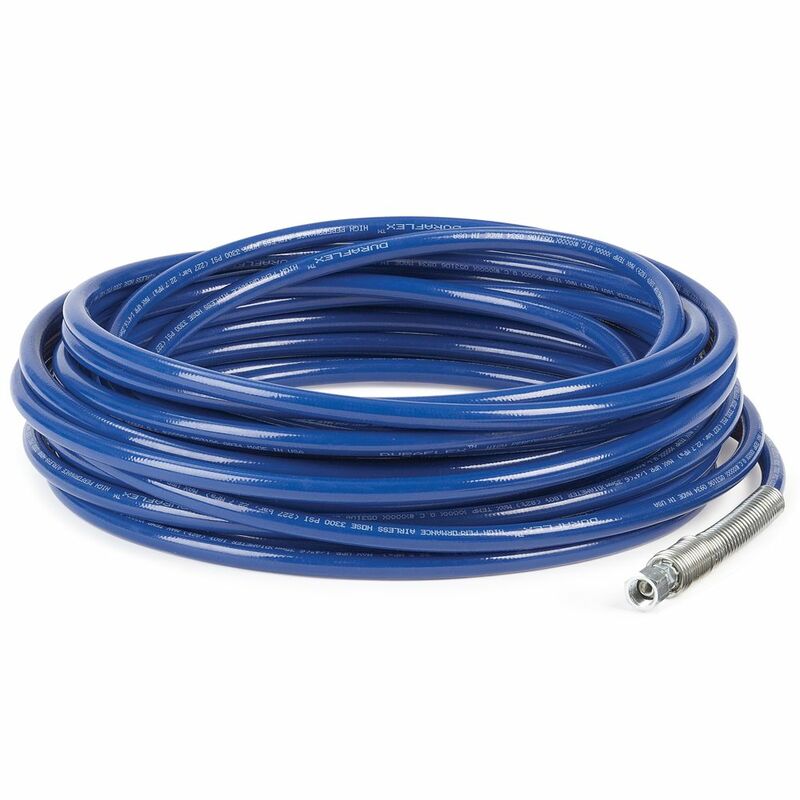 Airless Hose, 50 ft (15.24 m) Graco DuraFlex Airless Paint Hose with its superior flexibility and durability is designed for ease of use while spraying under pressure. Minimal hose coil memory reduces tangling and kinks when uncoiling or coiling or moving the hose around the project. Conductive core meets the highest safety standards.